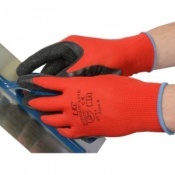 Offering both high flexibility and excellent dexterity, the Marigold Industrial Astroflex Industrial Protective Gauntlet Gloves are ideal for providing hand protection in a wide range of wet and dry environments. They also feature a polyamide seamless liner and a smooth coating on the cuff for optimal wearability. The product code for the gauntlet gloves is 79-700. When working, it's important that hands can remain dextrous and comfortable. 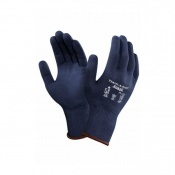 The gloves have been designed to provide optimal levels of flexibility and dexterity, while also offering good grip in both wet and dry conditions, ideal for protecting your hands in a wide range of scenarios. For more information about the food compliance of the gauntlet gloves, please consult the Food Declaration of Product Compliance in the PDF below. 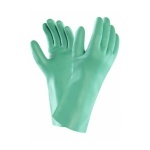 The Marigold Industrial Astroflex Gloves are available in a choice of sizes, making them suitable for most users. Please consult the table below for details, then select the required size from the drop-down menu at the top of the page. 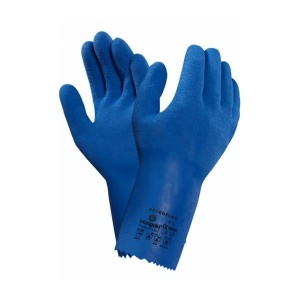 The gauntlet gloves have a thickness of 1.25mm and a length of 300mm.